We think that relationships matter. Because we know that people are at the heart of what we do. We want to grow with you. Achieve with you. And support you to do your best work. That’s why we’re focused on developing leadership, promoting diversity, rewarding excellence and retaining great talent. We’re always looking for people who want to go further with us. Why not see where we can go? We know the value of having people from all walks of life. That’s why we’re committed to creating an inclusive workplace with equal employment policies. We’re proud to be an Employer of Choice for Gender Equality and a Women’s Employer of the Year at the 14th Annual Australian Insurance Industry Awards. It means our people are paid fairly and supported equally. And that’s important to us. Because people are at the heart of everything we do. 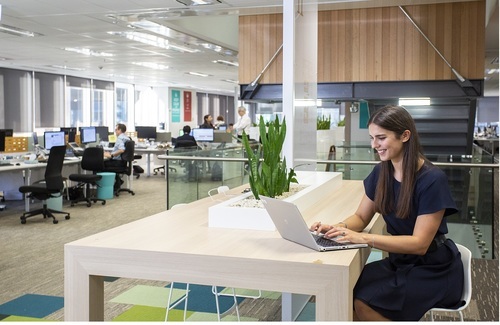 At TAL, we believe flexible working provides a business advantage, it allows us to leverage our capabilities to meet the needs of our customers and partners, and make sure our people can balance their work with their personal life. We understand people seek out flexible work for different reasons at different stages of their career. Our aim is to create an environment where our people can perform at their best, wherever and whenever they are working. Our Purpose is grounded in our past as well as who we are today. It is why we do what we do. And the words in our Purpose are very deliberate: Every day we work to help Australians live a life filled with choices, options, and freedom, no matter what happens. Our Ambition signals what we want to achieve – that our customers understand and value the protection they have and are confident we will be there when they need us most. It’s the people of TAL who bring our Purpose and Ambition to life. The decisions we make, the things we focus on, the way we work with each other. To achieve this together, it will take all of our collective talents. Aiming higher – We love punching above our weight to succeed. We work together to find bold new ways to solve problems and make a positive difference. Doing the right thing – We believe in being fair, not taking the easy option. We show we care by taking our responsibilities seriously. Being straightforward – We strive to be straightforward in all that we do. We respect each other, say it like it is, and are on a mission to cut out complexity. ​Getting it done - We never give up. We’ll go further than anyone else to deliver the best outcomes for our customers and partners. The qualities of our Spirit were developed with our people, reflecting what they feel makes TAL great. Individually, these qualities are strong, but when combined, they have the potential to set us apart from the rest. 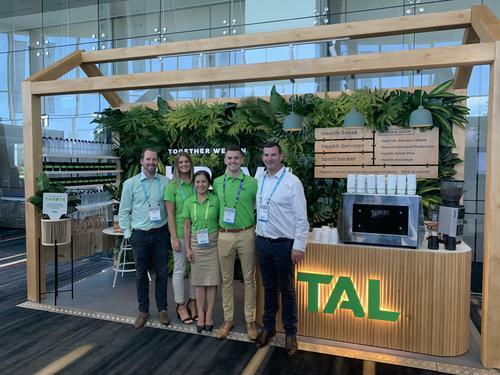 ​​"TAL encourages the health and wellbeing of all Australians and, as employees of TAL, we all form part of this community. I believe that it is really important that we take care of each other and ourselves physically, mentally, socially and financially and I’m passionate about utilising whatever resources and tools we have to make the lives (both personal and work) of our people happier and healthier"